As Office Manager, Susie keeps our office running smoothly. 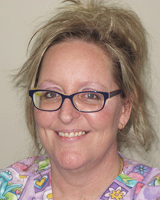 Susie plays a critical role in building good relations within the dental team. 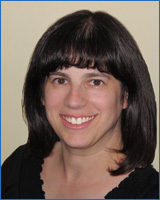 Her enthusiasm for organizing events gives our team (and patients) plenty to celebrate, including the 5th anniversary party in 2009 and the 10th anniversary party in 2014. Susie also enjoys being involved in the community. Since 2007, she has organized the Sports Mouthguard Clinic in support of KidSport. She graduated from the University of Toronto with a Bachelor of Science. When not busy working, Susie enjoys spending time with her husband and two children, travelling with her family, volunteering at her children's schools, playing tennis, watching good movies and scrapbooking. My name is Michelle, and I am very pleased to be back in Port Hope. I was born and raised in this town, and started my Dental Career in this very office. After many years working in Toronto, it was time to "come home". It's exciting to meet new patients and re-connect with so many others that I haven't seen in a few years !!! I graduated from Medix School Toronto as a certified Level II Dental Assistant. After gaining invaluable experience in a corporate dental setting I was thrilled at the opportunity to join Dr. Benedict's dynamic team. I enjoy helping people achieve and maintain a healthy smile. We're a sporting family so during my downtime, we travel around southern Ontario for my daughter's softball and I also enjoy: cooking, reading and sharing a laugh with family and friends. "Smiles are sunshine for the soul." I became a certified dental assistant PDA Level I in 1993. I realized I had a passion for dentistry, so in 2000 I got my CDA Level II from George Brown College together with my National Board Certificate. 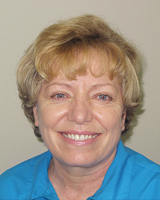 I have been a member of the Ontario Dental Assistants Association for 25 years. I have been married for over 30 years. Together we have 3 wonderful children. In my spare time, I enjoy cooking, baking and long walks. Since I was a child, I wanted to work in the dental field but I was not sure what. Once I was in high school I took a co-op at a dental office shadowing a dental hygienist and fell in love with the job. Graduating from Durham Colleges Accelerated Diploma Program of Dental hygiene gave me a great appreciation for all kinds of work ethics and learning styles. Continuing education excites me and I am always interested in learning more in this field. When I'm not in the office, I love to practice yoga, volleyball and spend my time outdoors fishing and with family. I graduated from Durham College in August of 2018 and became a Registered Dental Hygienist shortly after. I’ve always had a passion for dentistry and absolutely love what I do. I look forward to gaining experience and skills within my field and am excited to continue and grow within my career. When not working, I enjoy spending time with my dog, my family and my friends and love spending time outdoors in the summer.